I no longer have the time to support these assets. I cannot make adjustments or requests on any of these assets. If something is clearly missing let me know and I'll try and fix the file if possible. There are tons of tutorials on how to use the assets do not ask here. Also check out my Brood War Tileset! Already there, the "umojan marine." Hi, i really love your Marine-Packs, but I would like to ask if there is any chance that you could make these marines from the hotS cinematic (1 White shoulder, bright color armor etc), i know its not that much but I dont want to recolor them myself since i want to use them both. Ghostnova, I love your work. I am working on a mod that has hybrids, and I need more hybrid creatures. I saw your hybrid awakening picture, which is linked below. You don't suppose you could share some of the models depicted in it, and corresponding death animations/portraits? Anything you're willing to share would be appreciated. Awesome models you created there GhostNova91. Are you going to release soon the UED Marine as well as fixing the models you created before. You can do them if you have some time then release. Thank you. 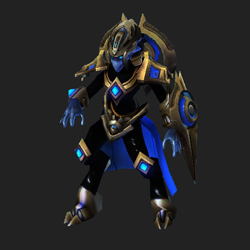 You've done the DT with a Spear (instead of the dual-scythe), and that's cool and all, but it reminded me of something from an OLD video of SC2-alpha, and I just figured it out: the Protoss Adept. Could you please bring back that unit? Thanks. Hi Ghost. I love your assets. Some of them are of particular interest to me, such as the Marine packs. However, as others have stated, there are issues with them. The Shield versions have the Shield flicker on and off constantly, like 10 times a second. There seems to be some issue with the lighting or whatnot. Even with the textures properly placed in Assets\Textures\ the Marine models are hideously bright, as if they're not being affected by in-game lighting at all. When standing idle, the Marine model appears as if halfway through a running pose. Great work though, other than the issues, the Marines (and the Firebat) look fantastic. I'd love to see some of the issues ironed out, when you get the chance. The Marines in your 'Marine Pack' seem to have a bugged idle animation *when I switch the Marine unit's model with theirs. Odd, in that with any other unit's model swapped the problem does not persist. Your Banshee pilot model and portrait seemed to be completely missing. /edit Pilot portrait isn't missing, but download link is broken. Really like your High Templar Female model. I have two suggestions: - Animate her lower torso, right now it looks really unnatural and both feet never move apart. - Add the spell particle effects that the High Templar Male model has. The second one doesn't matter too much because that can be done via actor effects. Are you planning to make the death model? I also made a static portrait, would be happy to send it to you. could I ask for one marine hero model, with the raynorex1 body, the marinexpr head, shoulder pad, and shield, and the classic marine weapon and flashlight, standard marine anims that has the xpr texture where it looks good? Waiting for approval and it'll be up. 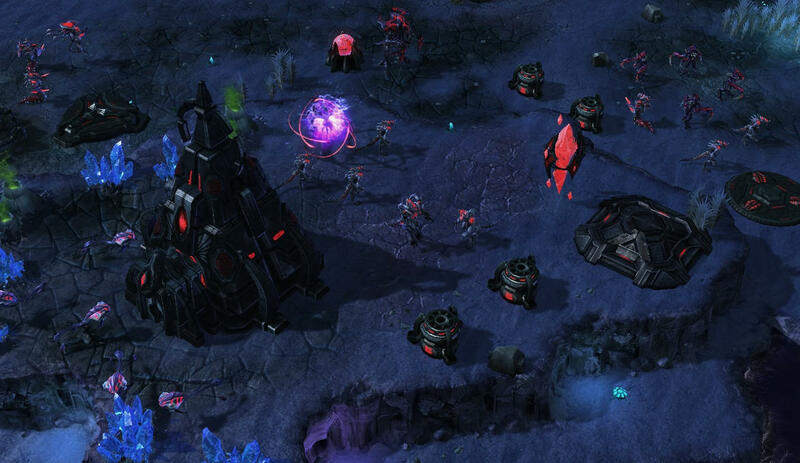 If it's not to much trouble could you please fix dark zerg buster model also.